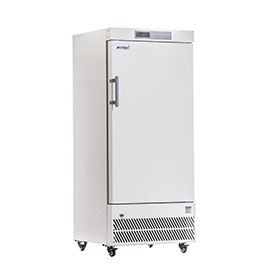 The -40°C deep freezer offers a large capacity storage space with fast temperature performance. Integrated design of cold shelf and evaporator provides additional refrigeration efficiency. This product is designed to store vaccines, blood plasma, and many other biological materials. Installations can be found in research institutions and clinical sites in life science, electronic testing and medical markets.